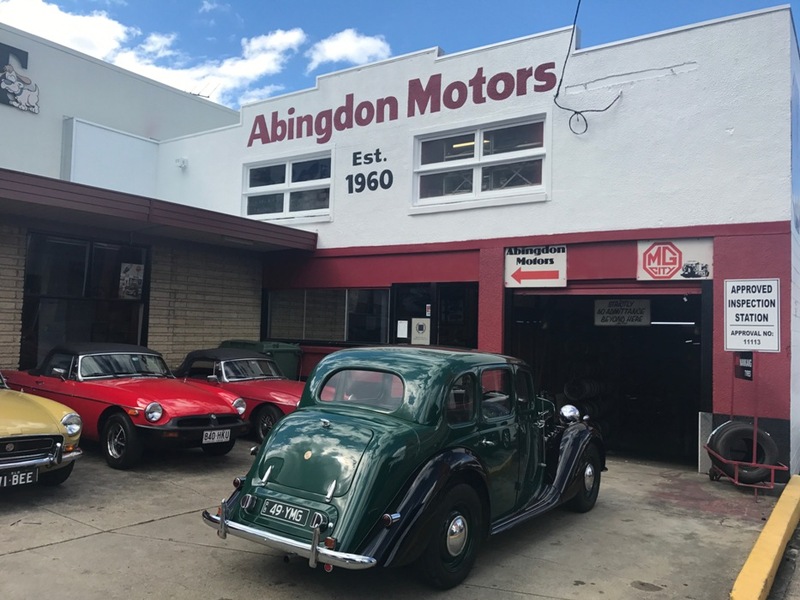 Abingdon Motors has for many years been recognized by passers by, due to its distinctive landmark. 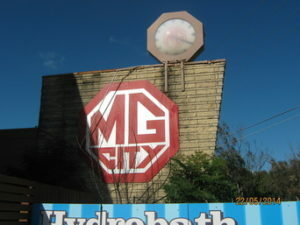 The large octagonal clock perched on top of the stone facade wall, has stood watch since 70's. But for much of that time, like it's fictional "Back to the future"counterpart , it has not kept time due to storm damage. The clock, which has been called a Brisbane icon, was looked upon by commuters on their way to and from work until it stopped during a storm in 1983, when it was struck by lightning at 10:20 ...Great Scott! It would remain frozen at 10:20 for more than 30 years. 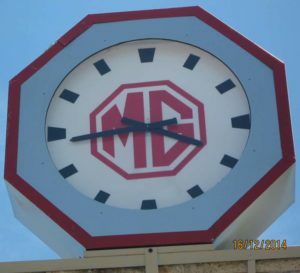 In 2014, following the purchase of the business by Phil MacMahon, the decision was made to restore the clock to its former glory. It was taken down and the damage assessed; there was a lot of rust and weather damage to body, but the internal working appeared to be ok. 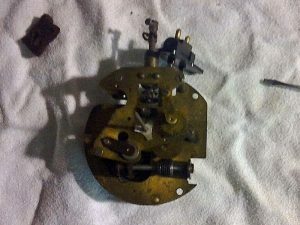 The clock movements were removed, pulled apart, cleaned and reassembled, and were found to be in good working order. However, it was decided to not reinstate them into the clock. 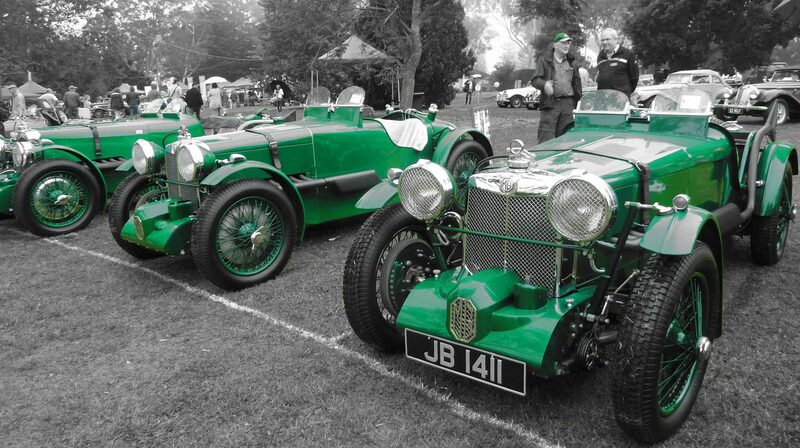 The Original movements were kept for posterity and the replacement movements were sourced. 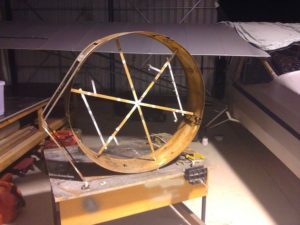 The dials showed no damage, so they were cleaned and reused, the acrylic domes were yellowed and showed stress fractures, so these were discarded. 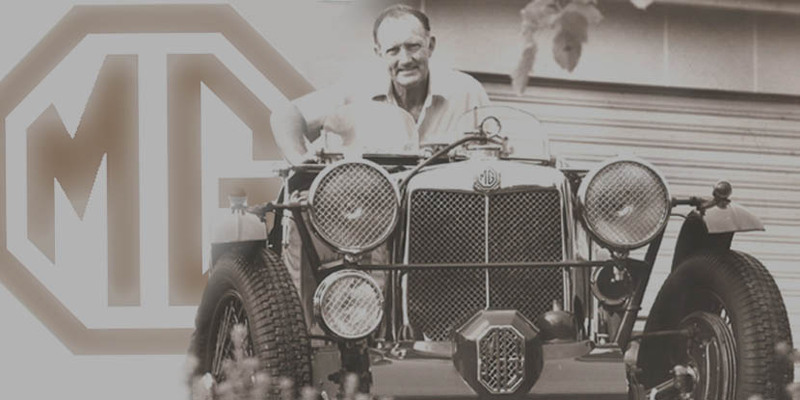 A new body and face-plates were constructed, but this time these were built to accommodate flat plexi-glass rather than the domed covers the original had, so as to ensure a proper seal. 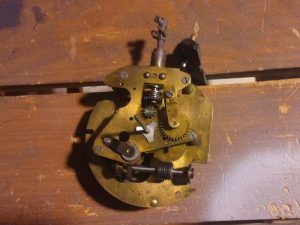 The internal mounting structure was patched and repaired, and new hands were sourced to fit the newer movements, along with an internal lighting system, to illuminate the dials at night. 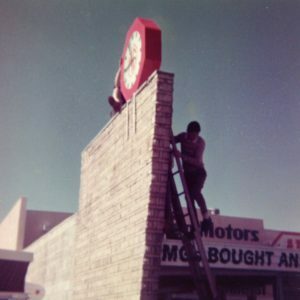 The clock was completed and returned to its place of pride atop our wall. The restoration was a success, and the clock looked, and ran better than ever. 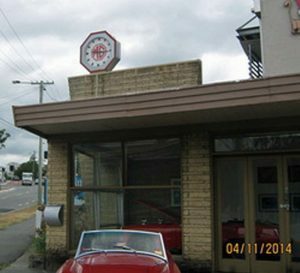 Unfortunately on the 4th of December 2014, Brisbane was hit by a severe hail storm which damaged homes and cars throughout the city, as luck would have it the freshly restored clock once again sat on top of wall sporting storm damage. 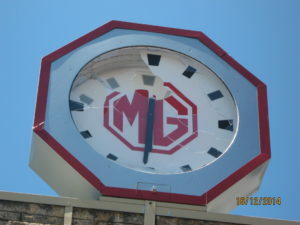 Large hail stones tore through the southern side of the clock, smashing the new face and destroying the original dial. The northern side was spared any visible damage, and continued run until it was disconnected for fear of water damaging the movement.